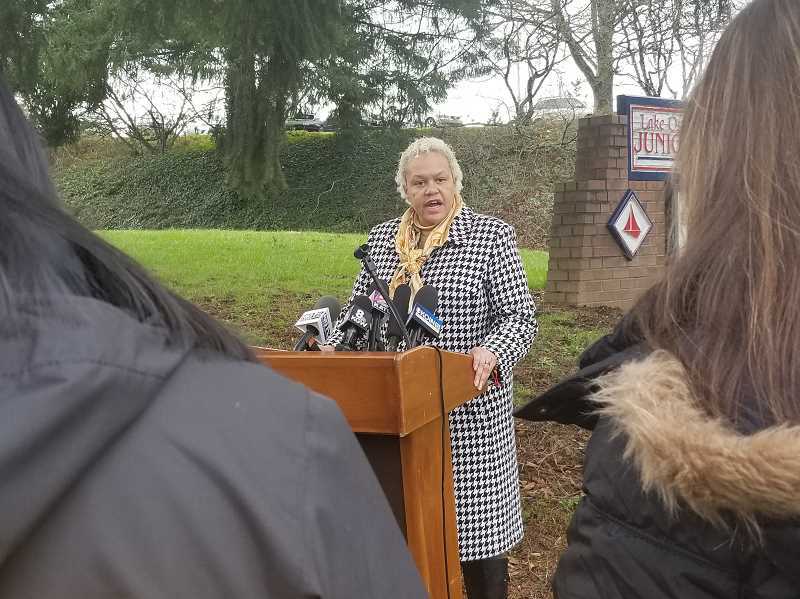 Lake Oswego School District officials responded Friday and again on Monday to a racist incident at Lake Oswego Junior High School, posting an open letter to the community on the district's website and holding a short press conference alongside Country Club Road. The Jan. 26 incident, in which an African American eighth-grader was handed a note containing the words "n****r dog," has generated dozens of angry phone calls and emails to LOSD officials and posts to social media that range from accusations and demands for greater punishment to racist rants by white supremacists. 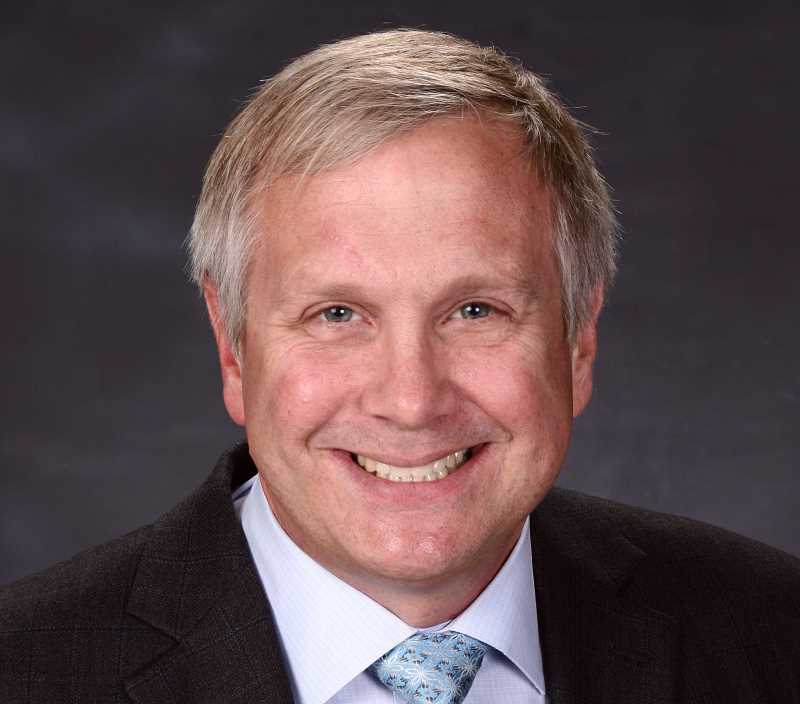 "Our utmost concern is always, and will always be, for the children in our schools," said the School Board's letter, which was also posted to Chair John Wallin's official Facebook page. "Our primary focus is on the child who was injured; second, we are focused on the emotional toll that this event has taken on our wider community." That theme was repeated at the Monday press conference, which was called by Christine Moses, the district's executive director of communications. "Racism is a learned behavior," she said in a prepared statement. "If we are going to change beliefs and behaviors, it must be from an educational stance." Moses also talked about a student walkout held at LOJ on Monday that was designed to show support for all students who have been treated badly. She said about half the student body at LOJ participated in the walkout, which was supported by the school and the district. "We are proud of our students, who have the courage to stand up for justice," Moses said. She said high school students were guest speakers at the event, spreading a message about changing the culture of the school and creating a safer place for all. Moses did not take questions at the press conference, which lasted about 10 minutes. The School Board's letter addressed the specific incident only in general terms, but it did refer to the district's recent spate of racist and anti-Semitic incidents in explaining the adoption of a three-year strategic plan that includes diversity, equity and inclusion as a key goal. That strategic plan, along with the district's "all means all" motto, were developed in the aftermath of several hate-filled incidents at LOSD schools in recent years, including racist messages scrawled on bathroom walls and an anti-Semitic photo posted in the Lake Oswego High cafeteria. "It is no secret that our district has had incidents of intolerance in its past," the board's letter said. "Our commitment to add this to our strategic plan followed the actions the district, school and students had already taken and made a clear statement to the entire community that this is our top priority." The letter mentioned some of the actions the district has taken, including training at the district administration level led by the National Equity Project. "The district is working diligently to prepare our teachers and administrators to support this work," the letter said. "In addition, several of our schools are working with Coaching Peace and other organizations to support teachers and parents in addressing racism." The district has also committed to hiring a permanent Director of Diversity, Equity and Inclusion, the letter said, and to forming a committee on Diversity, Equity and Inclusion "in partnership with our broader community stakeholders." One of those community stakeholders, Respond to Racism co-founder Willie Poinsette, met with LOJ Principal Sara Deboy and others in the days following the Jan. 26 incident. She told The Review that she came away from the meeting with unanswered questions and concerns. Specifically, she said, she'd like to know more about the training being implemented by the district to create a more inclusive environment in schools. "I'm not clear that it's as systemic as it sounds," she said. "I really want to know more about the training, and how much has filtered down from the central office to the classroom." 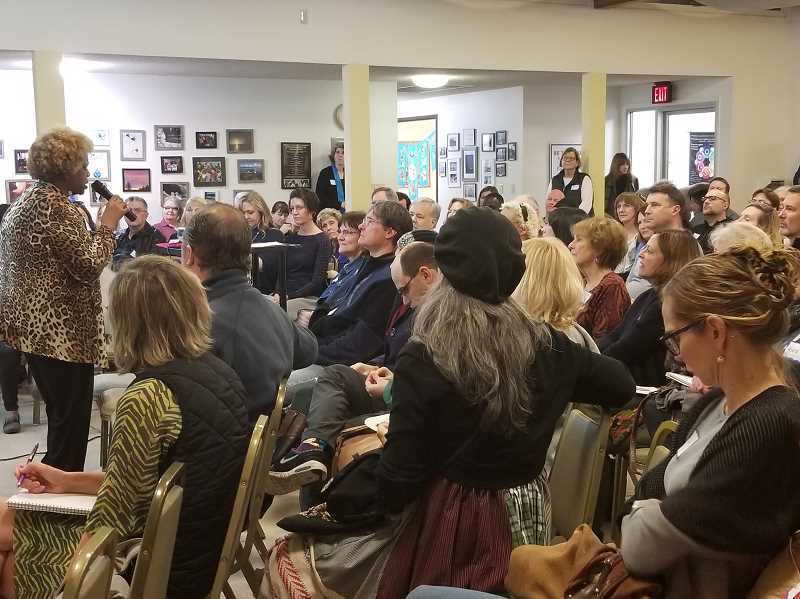 Respond to Racism, a grassroots organization formed last summer in the wake of a racist road-rage incident and events that occurred in local schools, devoted most of its monthly meeting Monday to discussing the latest incident. More than 150 community members attended, including city councilors, school district officials and student leaders of the LOJ walkout held earlier in the day. "I went into this meeting last night feeling defeated and worried it would be full of anger (understandable given this week's events)," said Amy Waterbury, one of the co-founders of the group LO for LOve. "Instead, I was met with so many kind and compassionate people who do not want to 'meet bitterness with bitterness,' who care so deeply about working toward meaningful and deep-rooted solutions. I left feeling re-energized and fueled to be a part of the solution." Meanwhile, the School Board letter said staff at LOJ are planning their own events, including a "Listen and Learn" meeting for parents on Feb. 13. Moses confirmed that plan, adding that parents also are invited on Feb. 26 to attend a Site Advisory Committee meeting to discuss the school's racial climate. Student events will also be launched this month at LOJ and additions are being made to the school curriculum, Moses said. Those efforts and the widespread community reaction come in response to the Jan. 26 incident, in which a Post-it note containing the words "n****r dog" was passed to 13-year-old Christiaan Bedford. The student who passed the note received a one-day suspension, several sources told The Review, and two other students were given in-school detentions. Jennifer Cook, the 13-year-old victim's mother, posted her displeasure with the punishment on her personal Facebook page and met with the media on Jan. 30 at the entrance to LOJ on Country Club Road. "A one-day suspension is completely inadequate for a hate crime," Cook said, adding that she had checked with her child to make sure he was OK.
"He said he's angry but that he hears that word anywhere from 5-20 times a day" at the school, she said. "This is unacceptable. Obviously." Social media users apparently agreed, sharing Cook's original Facebook post more than 1,800 times and flooding school district offices with angry emails and phone calls. Online comments ranged from anger over the punishment and demands to enforce a zero-tolerance policy to heartfelt support for Cook and her son. White supremacists also joined the discussion, which further incited commenters. Officially, the school district said it would not discuss confidential student information, including any punishment applied as a result of the incident. But the board's letter did say that "punishment alone does not create opportunities for healing," and it tried to explain the "restorative justice" process increasingly used by school districts nationwide. "This process puts the power of healing into the hands of the victim. With the assistance of trusted staff members, victims participate in the development of a restitution plan meant to make amends and bring genuine healing and closure for the victim," the letter said. "Potential actions could include letters of apology, public apologies, community service, personal discussions, and facilitated learning objectives. It is a process that puts the power of healing into the hands of the victim." "Restorative justice is their buzzword, but when you ask them to elaborate, they're not going to," she told The Review. "It just doesn't seem to me like anything is actually being done, and it just seems to me that when it comes to hate speech and racism and bullying that they do need to take a much tougher stance on that. This is their opportunity to show that they actually mean the things they're saying."